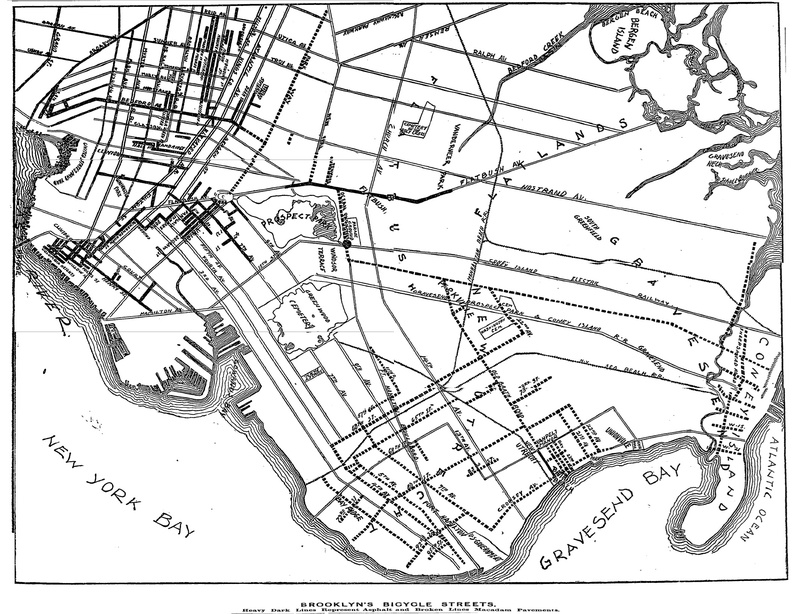 New York has had a long love affair with bicycles and subsequently bike lanes, starting in the 19th century with the city’s first bike lane (Ocean Parkway, 1894) and early bike map by the New York Times. 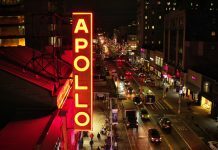 Traveling through New York City by bike has continued to play a key role in the makeup of our city. Thanks to the work of local advocacy groups like Transportation Alternatives, options for pedal friendly transit continue to expand into the 21st century. 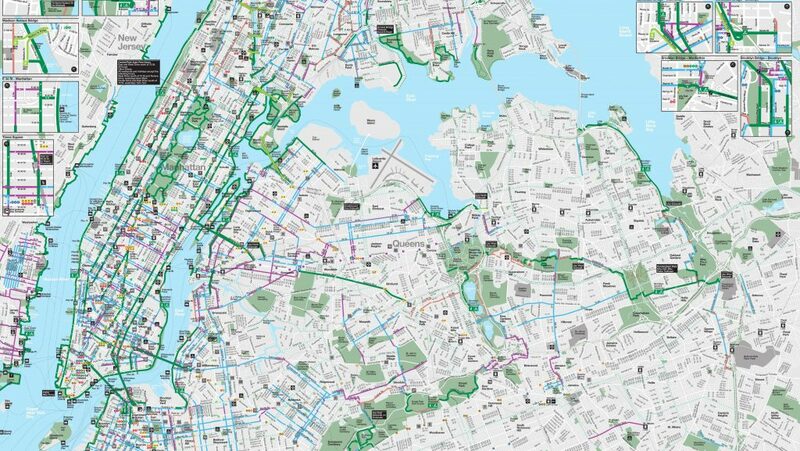 Whether biking for recreation, calorie burning transit, or connecting with a piece of NYC history, make sure you’re ready to hit the streets with these eight bike maps to help ease the process, navigate, and, ultimately, stay safe on the roads. 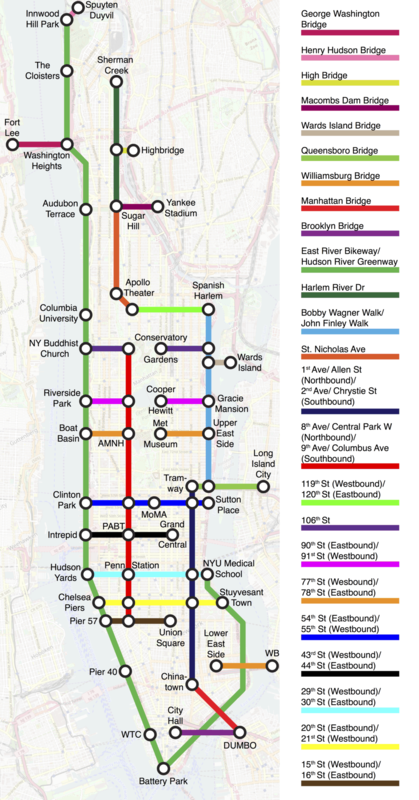 The official map by the NYC Department of Transit is as colorful as it is thorough. 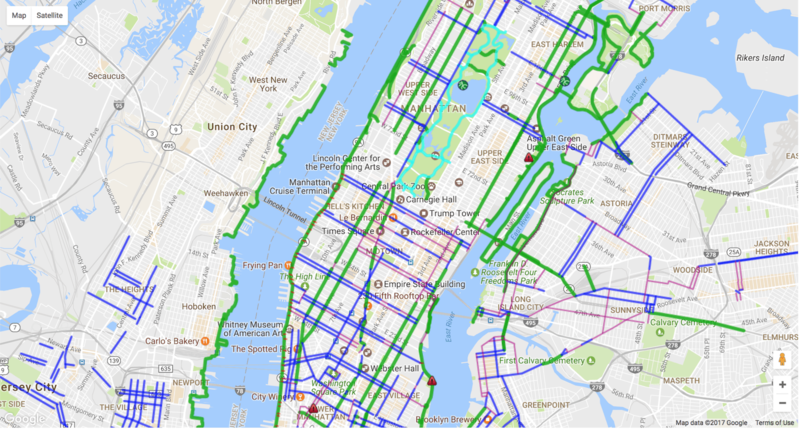 The map, which details both bike lanes and New York City’s streets is available as a .pdf file online or in a printed brochure version which is available at most bike shops and at all DOT events. Along with bike lanes, the map is also useful for its easy to understand guide on bike etiquette and a robust list of bike shops in NYC should you need to find one along the way. 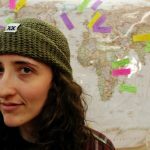 Our preferred tool for navigation is the unofficial NYCBikeMaps.com which uses a google map overlay to provide an interactive guide for bike lanes throughout the city. The design is less cluttered than the official map, and the zoomable features make route finding easier. This site also does an excellent job of providing additional information like warnings for construction, elevation profiles, and even tips on when to ride. At first glance, the Strava Route Finder might seem like any other general mapping tool. You input where you want to start and plot points along the way. Yet, Strava isn’t just pulling data on the location of the bike lanes to guide you, but also diving into historical data on the usage of each bike lane. Since users of Strava run the app while they bike, Strava is able to track the exact bike lanes and routes that are most popular. Then, by giving you directions according to the most popular routes, Strava’s Route Finder is keeping you away from bike lanes and intersections that other cyclists have avoided. That’s one smart map. To take safety even a step further, the Law Office of Ivan M. Diamond has created an interactive map to identify and track where accidents actually take place. 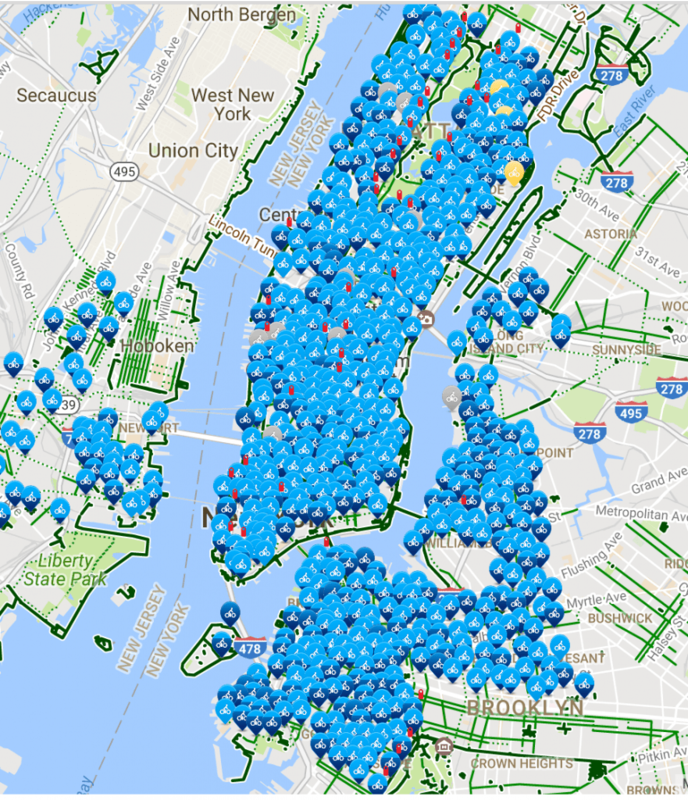 The data is broken down into distinct maps for each borough which can be sorted by types of accident according to “pedestrian”, “cyclist” or “motorist”. They even provide guidelines for how to decrease the likelihood of getting into an accident and encourage specific safety precautions for drivers, pedestrians and cyclists. As individual cyclists, we can use this information to avoid certain routes and intersections. On a larger scale, city planners can use this data to hone in on patterns that help prioritize infrastructure and bike lane planning. Created by artist Michael Graham, the new Spider Bike Map project creates minimalist bike maps for cities all over the world. Based on the idea that “minds can only process so much information at once”, Graham uses his “subway style” maps to highlight key bike routes throughout the city to make navigation more digestible. This map makes it easy to ride even if you don’t own a bicycle yourself. 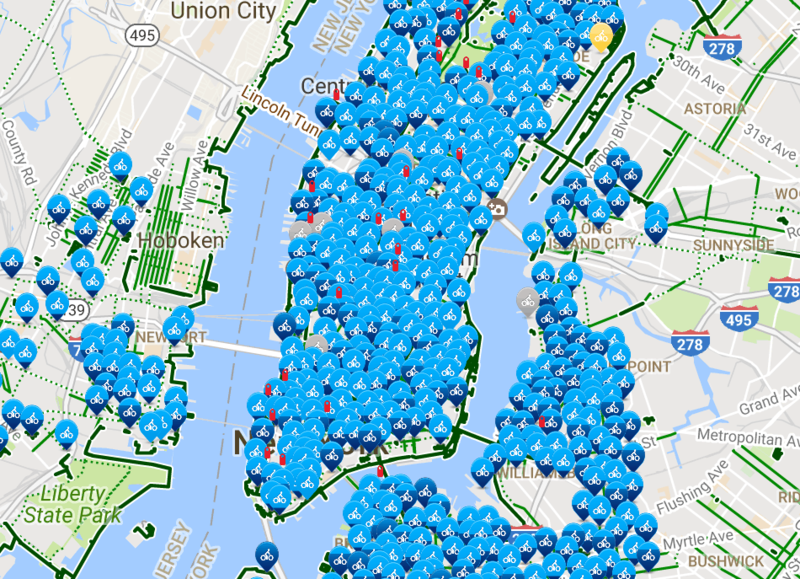 The CitiBike system, launched in 2014, has expanded to three boroughs and New Jersey to make it easy to pull up their map, find a bike, and get riding (annual membership is $163/year). 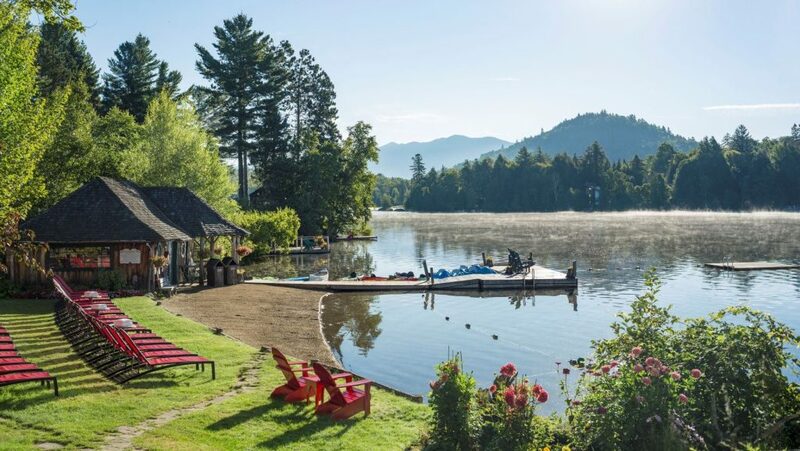 The East Coast Greenway, an effort first conceived of in 1991, is on its way to connecting Maine to Florida through one contiguous bike path. As the non-profit works to connect trail links throughout the states on the Eastern Seaboard, the maps are constantly being updated to highlight completed sections for an ultimate ride of 3,000 miles. New Yorkers can follow the Greenway out of NYC to head North to Connecticut or West to New Jersey using the Greenway’ interactive map or the official New York State Map. 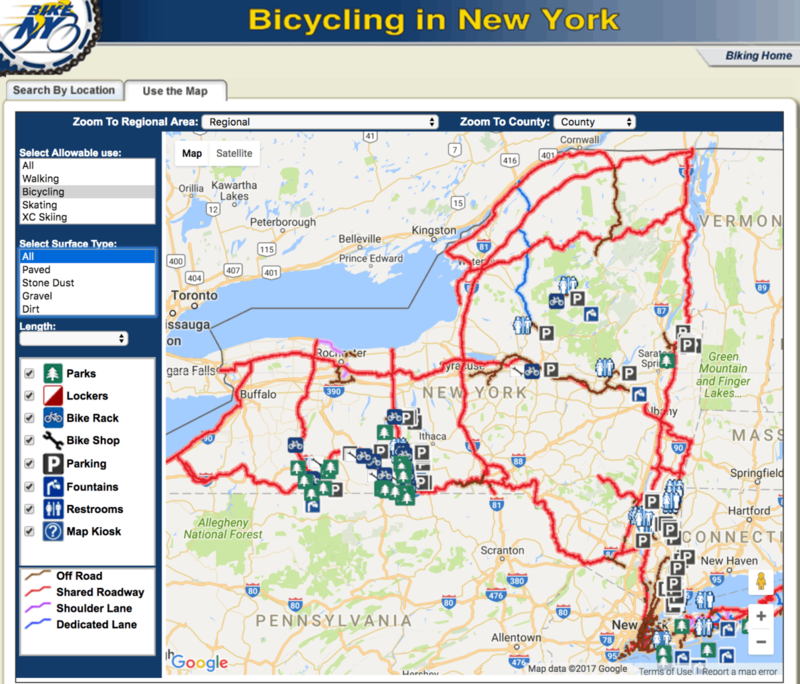 New York State’s official maps are the go to resource for all “out of town” bike trips, showing bike paths through the entirety of the state. While this interactive database of maps can be overwhelming in its breadth of information, filters help hone in on everything from types of surfaces (paved, dirt etc.) to types of bike lanes. They even include details such as the locations of water fountains and bike racks along the way. Honorable mention goes to the Secret Bike Maps of NYC an odd but fun site full of quirky rides to try.